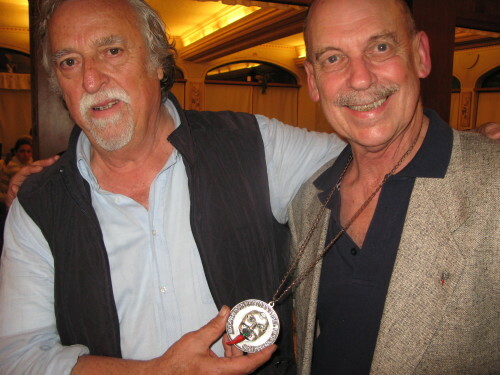 Enzo Monaco, the director of the Accademia Italiana del Peperoncino (Italian Chile Pepper Academy), has a big new book out on chiles, and he was kind enough to send me a copy. 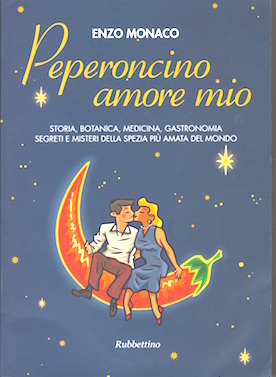 The book is entitled Peperoncino Amore Mio: Storia, Botanica, Medicina, Gastronomia, Segreti e Misteri Della Spezia Piu Amata del Mondo, which translated means: I Love My Chili: History, Botany, Medicine, Gastronomy, Secrets and Mysteries of the Most Popular Spice in the World. I don’t read much Italian, but the large-format book has 334 pages and is very nicely designed. 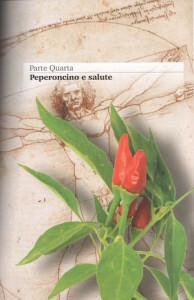 There is a small pic of me in the book, with a caption that reads, “Il Papa del Peperoncino,” or The Pope of Peppers, so thanks for the plug, Enzo. Since I can’t read most of the text, it’s difficult to recommend it. It’s available on Amazon Italy, and the link is here.